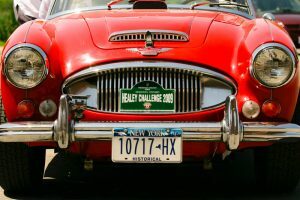 As the Official Timing Partner, Frédérique Constant is excited to announce that the Healey Challenge Canada 2009 in Kingston, Ontario, has been a great success. More than 550 Healey owners and their partners were in attendance, to share their passion around the legendary Austin Healey cars. During five days, over 230 Healey cars could be admired during numerous activities; from Rallies to a Concours d’Elégance and Track races, offering them wonderful moments in the picturesque Canadian countryside. After day-long activities, the participants came to relax and unwind in the Frédérique Constant VIP Area. Obviously, also to admire the dedicated Frédérique Constant Healey watches. 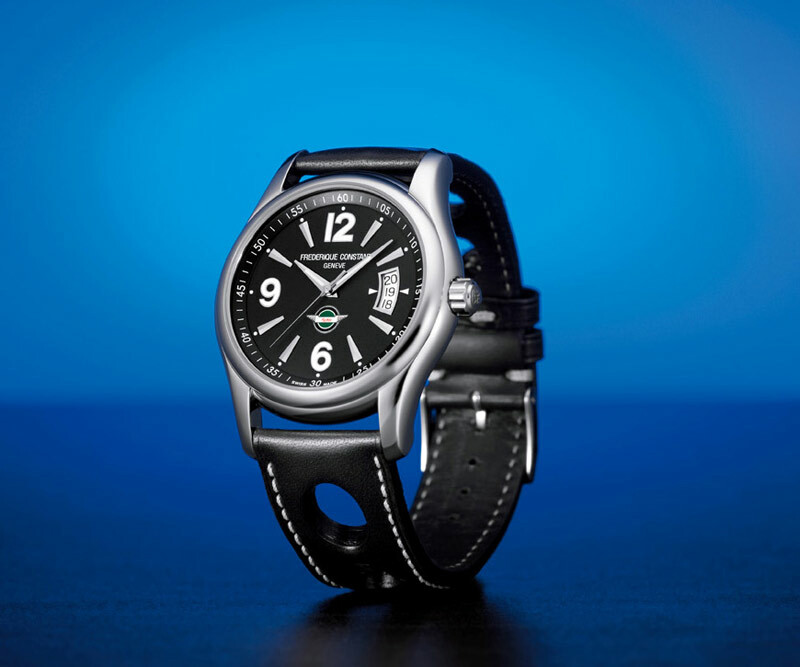 In succession of a highly successful series, Frédérique Constant introduced the new “Healey Chrono-Automatic”, issued in a limited edition of 1’888 numbered timepieces, during the event. Presented in steel, the rounded case with a diameter of 43mm is hand polished and features an elegant silvered dial with blue accents. The large numerals with blue outlines guarantee a clear readability thanks to their luminous finishing. One time more, Healey watches have been highly appreciated by these car lovers, especially the 2009 editions, created for the year’s event and decorated with a special event logo engraved on the case back, and with a signature rounded aperture, offering a glimpse of the beautifully decorated automatic movement. While it is obvious Healey owners are passionate about their cars, they also love their Frederique Constant Healey watches. 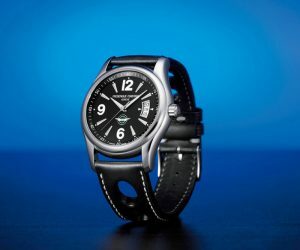 Numerous people collect the Healey watches, while one fan in particular purchased the first edition Healey watch back in 2004, and has purchased all since then, including this year’s models. As the Official Timing Partner & Premier Sponsor of the event, Frederique Constant was honored to offer Limited Edition Healey watches to Mr. Blair Harber who won the “Best of Show” Award and to Mr. Bruce Gearns, the only finisher of an equippe of more than 20 cars, to complete the discerning “Time, Speed, Distance Rally”. It was again exciting to be part of this international Healey event and to meet so many passionate people, who do not only love cars, but also watches! We are looking forward to next year’s Healey Event… See you all then!